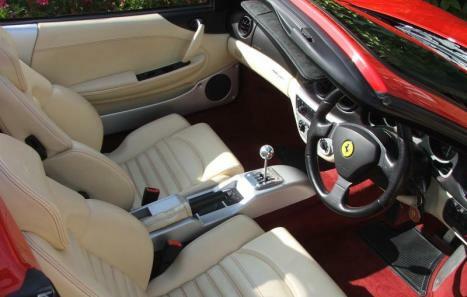 FINISHED IN THE CORRECT COLOURS - RED WITH CREAM LEATHER INTERIOR ! CLUTCH WAS CHECKED AT THE TIME OF THIS SERVICE, AND WAS PERFECT ! INTERIOR AND EXTERIOR OF THIS CAR ARE STUNNING ! 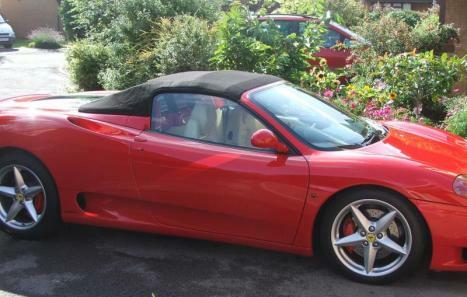 THE FIRST PERSON TO VIEW THIS CAR WILL BUY IT - THATS A DEFINATE ! I purchased this car a couple of months ago, and I am gutted that I have to sell it, but unfortunately, work and family have meant that the car isnt being used. School fees are looming, And the weather has been awful too ! So the decision to sell has been made. 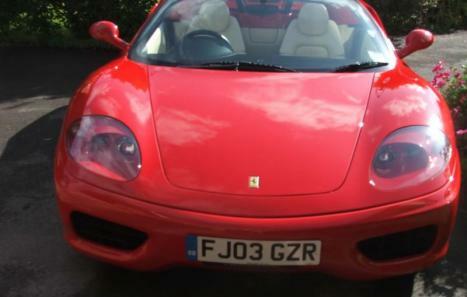 I have previously owned several Ferrari cars ( 348TS, 355 SPYDER AND ANOTHER 360 SPYDER ) , and I only buy the best ! There is so much rubbish on the market ( anyone who has looked seriously for these cars will know exactly what Im saying ! ) 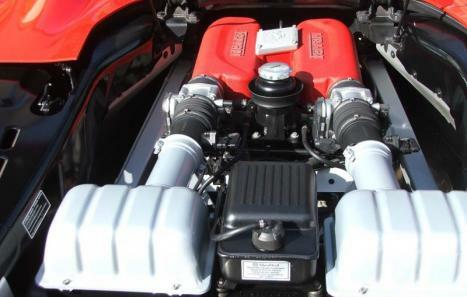 - this comes at a price of course, and I paid top money for this car, and for the previous 3 Ferraris I have owned. I looked at dozens of 360 spyders before I came across this car .....and its gorgeuos. My car has 6 speed manual - and superior in every way to the cumbersome flappy paddle gearbox ! Believe me ! Just try and reverse park with flappy paddle ! IMPOSSIBLE ! and when you consider that the flappy paddle box eats a clutch every few thousand miles, and the pump can breakdown at any time ( even when you are driving ) then its wise to stay well clear of F1 flappy paddles ! Unless of course you are extremely wealthy, and race on tracks ! The condition is awesome, and the addition of the Tubi sports exhaust means it sounds as good as it looks ! We live in Evesham, Worcestershire.